Care managers have an important role to play in helping health plans ensure that their members get the right care at the right time. Optimizing quality of care, maximizing member satisfaction and connecting to available community resources are all challenges that fall squarely on care managers. What is the most effective way to meet the needs of patients with chronic or serious illness? How can we help members identify what matters most to them when facing critical decisions due to serious illness? When the issues are more than simply medical, how do we help members access the care they need? Palliative care provides a higher level of satisfaction for members and their families compared with those receiving only conventional care. In the evolving world of health care, care managers play a vital role with those who have a serious or chronic illness. Yet, case managers do not typically receive the specialized training required to effectively address patient needs with solutions that both support and engage patients and their families. If your organization’s goals include enhancing member satisfaction and providing compassionate and effective services while managing plan guidelines and limitations, then palliative care skills training for your care managers will help you achieve those goals. Learners will benefit from the comprehensive curriculum offered online to suit personal schedules. The course covers current medical trends; best practices in communicating with empathy, and attention to the social, emotional and spiritual needs of health plan members. 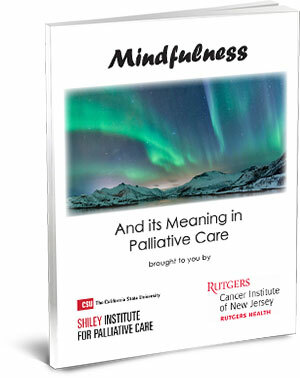 Developed in conjunction with the Coalition for Compassionate Care of California, the course was created by certified, palliative care knowledgeable case managers and pilot tested by some of America’s leading health plans. The CSU Institute for Palliative Care offers customized learning services to organizations for in-depth practical learning opportunities for organizations purchasing groups of enrollments in this course. This 20-hour course takes place online and combines self-paced learning with opportunities to interact with other learners. It includes videos, exercises, articles, quizzes, and discussions. Learning resources and reference articles are provided for a deeper dive into topics relevant to professional development.